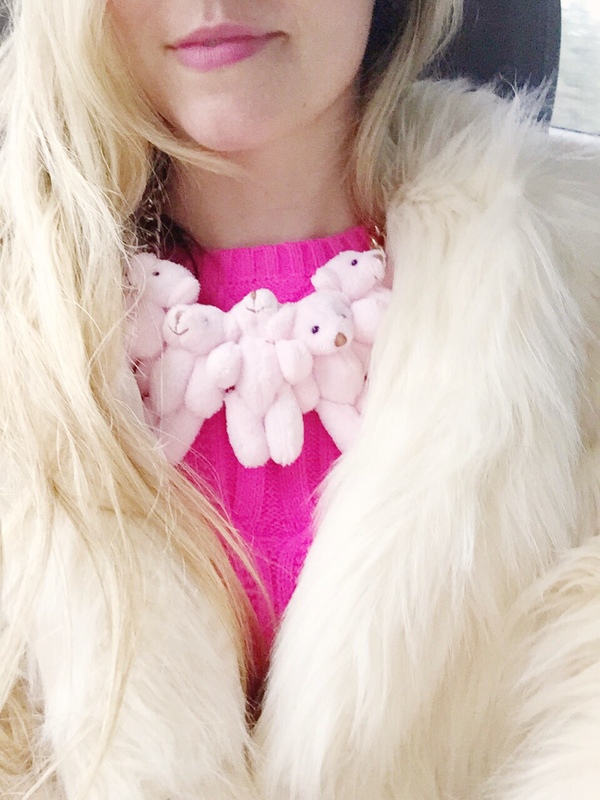 teddy bears and pimp fur — neon. sweater, ted baker. necklace, onch movement. faux fur, asos.